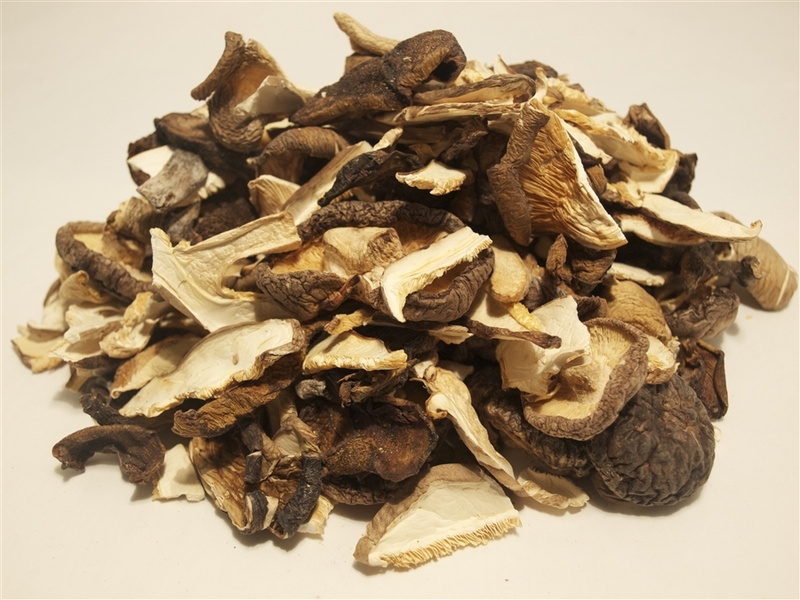 Our dried forest blend contains an assortment of premium exotic mushrooms. This dried mushroom variety contains shiitake, oyster, and king oyster. This special blend boasts an earthy, robust aroma and flavor, and works well in most dishes.